It’s officially Saint Patrick’s Day and big cities across the United States are celebrating the holiday that commemorates the patron saint of Ireland. Many businesses across the New York area are expecting a boom in business for the March 17th celebration. To make the most of advertising, New York commercial photographers often spend the few months before the holiday photographing Irish bars and costumed apparel to promote theses Saint Paddy’s day centric businesses for the March holiday. 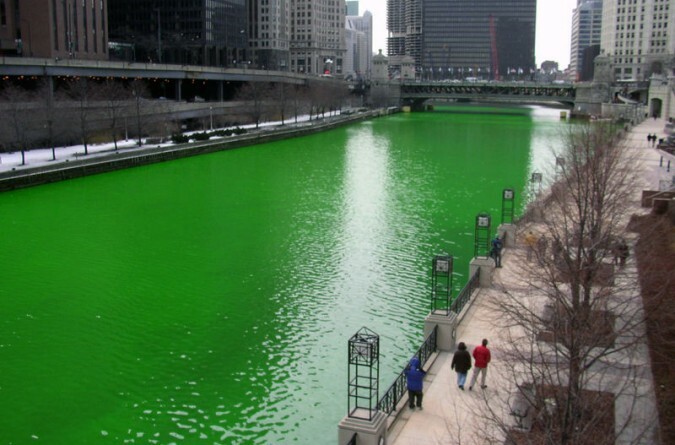 So how many Americans celebrate St. Patrick’s Day? Somewhere near 133 Million people, do! Saint Patrick’s Day is becoming a big money holiday across the nation, not just in Boston, New York or Savannah. According to the National Retail Federation, St. Patty’s Day celebrations are expected to generate $4.8 billion in the United States. The average person who celebrates the Irish holiday spends around $35. The businesses that benefit most from this holiday are Irish restaurants and bars, of course. Business owners are rejoicing that the holiday falls on a Monday this year because it encourages consumers to go out on a day they usually wouldn’t. Some revelers are started celebrating Saint Patrick’s Day this weekend, so theses business got 3 days, not just one to earn some serious green. Even those who aren’t of Irish descent love to celebrate the holiday and it shows. The National Retail Federation reports that hat eight out of 10 people said they’ll be celebrating by wearing green and one in five said they’ll decorate their home or office with Irish décor. From our Le Image Inc New York Commercial Photography department to you, Happy Saint Patrick’s Day! Enjoy the holiday, safely!